Want to expose your business, organization or club to 8,000 sports, fitness and travel enthusiasts? 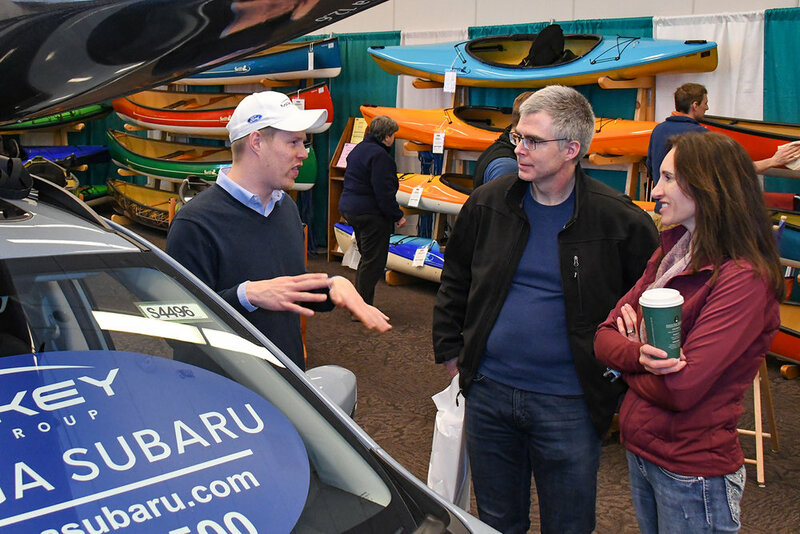 Join us for the 15th Anniversary Adirondack Sports Summer Expo at the Saratoga Springs City Center on March 21-22, 2020. With 150 Exhibitors and 8,000 attendees, this is Upstate New Yorks must-do show! Attendee admission is FREE. Check out the Summer Expo Attendee Page to see what the Expo is all about! Below, you will find exhibitor-specific information. Perfect audience. There were lots of paddlers. This was a wonderful experience. We got some really good contacts, glad we came. We liked the variety of exhibitors. It helped bring lots of people from all walks of life! Very happy with the quality of attendees, I made a lot of valuable connections. Great turnout, great co-exhibitors, very well done. The nice variety of vendors provides a nice experience for attendees. Interested in exhibiting at the expo? Learn more about the show with our Media Kit. Call Darryl or Mona at 518-877-8788 for more information. And, thank you for exhibiting at our high-energy event. If you are new to the show, you are in for a great experience. Face-to-face contact with thousands of enthusiastic, sports and fitness-minded people will help you connect to your target audience in a unique way. Our top priority is making sure you have a successful show, but getting the most out of the event has more to do with YOU. great mix of exhibitors, and extensive advertising and promotion. But we need your help to maximize our reach! Advertise your presence at the show in any print or online ads. Post an invitation to the Expo through another favorite social media platform like Instagram, Twitter, or Pinterest. Use one of our publicity images below to help in your promotions. Send out an email blast (or two!) to your entire list of subscribers personally inviting them to visit your booth at the show. Feel free to include any of our promo images, or a link to the Summer Expo Attendee page. Your objective is to grab the attention of attendees. Your booth design will directly reflect the image of your business, organization, product or service. You have only seconds to make an impression as a visitor walks by. Your booth should differentiate you from other exhibitors and demonstrate your unique position. Make sure people coming to your booth can experience your product or service. Let them try, touch, see, feel, hear or taste it. Make sure there is a call to action to help you achieve your goal; something to inspire interaction between show attendees and your staff. Design your booth with a focus - from the visitor’s perspective. This is how they will scan the booth to determine if they should stop. Interactivity and creativity are encouraged at this high-energy show! Have the most positive, approachable and outgoing people staff your booth. Your booth staff’s attitude will be the number one factor in the success of your participation as an exhibitor. Be sure your staff is qualified to answer all important questions about your organization. Use these images to help promote the show, and your presence there.